Plateau state Governor, Simon Lalong on Monday said he is determined to recover all "stolen" funds from the state . Lalong at a 3-day retreat and strategy session of the Small and Medium Enterprise Development Agency (SMEDAN) in Jos challenged the Plateau state Youth Council chairman, Dr. Fobong Yildam to ensure that youths in the state find out what happened to the missing fund. “I want you to go back and I charge you before everybody. Invite the past administration and invite me to a live debate on television, let us explain what happened to the N2b and I assure you if I get N2b today I will turn around the fortune of the youths in Plateau state,” he said. “EFCC has invited them to explain what they have done with the N2b that is why they are trying to divert attention. “I came into office thinking of how to engage, how to empower youth unfortunately the first record I saw on my table was that the past administration gave N2b to Plateau state to set up an agency for the empowerment and employment of youths and I was told that the money had disappeared. I was worried, there was no agency, it meant the administration did not bother about employment, or youth engagement and empowerment. I took up the challenge and set up the agency. 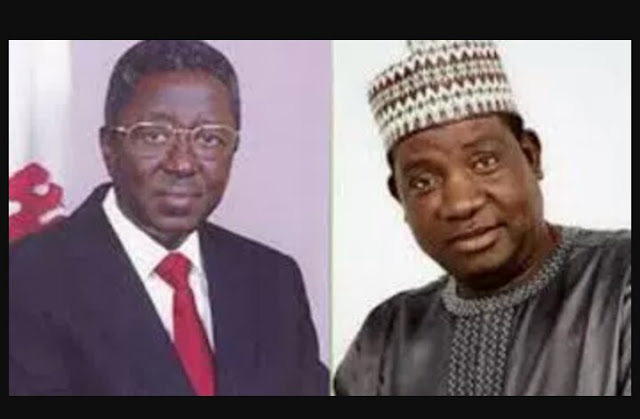 In a swift reaction however, Ex Governor of Plateau State, Jonah Jang said in his eight years reign he utilized every penny of Plateau State funds in the interest of the State. In a statement signed by his aide, Clinton Garba, Jang asked Gov Lalong to apologize to the Plateau people for his "abysmal" performance in the last three years.